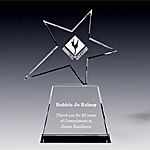 Coordinating an award ceremony or a corporate recognition event can be a challenging task. An award ceremony can be part of a departmental or corporate annual meeting, or a stand-alone event. It can be conducted on site, off-site, or can be teleconferenced among multiple office locations. It can be formal corporate event or a more relaxed gathering. So, where do you begin? We asked recognition industry experts for their tips and advice on organizing a memorable and successful award ceremony. Successful planning requires good time management and organizational skills. Divide the entire event to smaller tasks such as location booking, catering, awards order, invitations, press and media, attendees lists, etc. Make a list of tasks and organize them based on time sensitivity and priorities. When each task is executed, mark it of the list and add administrative notes. Compile a list of the award recipients and send them a special invitation asking them if they wish to bring guests. Award recipients and their guests should be seated in the front rows next to the stage. Compose a list of each recipient, award category and their special achievements. Organize the recipients list in the order they will be called on stage. People are sensitive about their names. Ensure that the announcer rehearses the list and pronounces each name correctly. If the event is formal, we recommend recognizing all of the award recipients in the event program. Nominees and runner-ups can be given honorary mentions. Emphasize the importance of each award while presenting it. What role did the recipient&apos;s achievements play in the overall company's success? Make your top performers feel special. Encourage recipients to prepare a short speech. 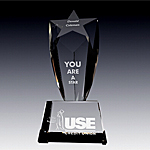 Take photographs during award presentation and later publish them in a corporate newsletter or website. Conclude the award ceremony with a thank you speech, which relates the recipient's contributions. To make your event dynamite, have fun and come up with creative unconventional ideas. For instance, you can set-up a red carpet reception for the award recipients and their guests. Hire a professional photographer to capture the red carpet appearances. Another way to present an award is by having award recipients also act as award presenters. For instance : recipient A will present an award to the recipient B, who will present an award to recipient C. This way people feel more involvement and participation in the event. When the recipient is called on stage, you can show a short video clip of hers/his colleagues talk about the recipient. This nicely fills in the time required to arrive to the stage and also involves more employees in the event.